It isn't every film that features man-eating zombie sushi. But for those searching for just that and more strange things in their viewing queue, this film guide is for you. 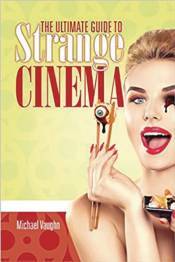 Organized by genre, including comedy, horror, action, drama, fantasy, and sci-fi, this title offers 300 reviews of genre films from all over the world, 160 photos, and exclusive interviews and quotes from the people behind some of the most offbeat films ever made.